Thousands of apprenticeship opportunities will be showcased by more than 60 of the region’s leading employers next month at the first National Apprenticeship Show – South West to be held on the 3-4 May at Westpoint, Exeter. This truly unique event will bring thousands of young people face-to-face with the massive range of opportunities offered by these foremost employers who will be available to discuss, in person, innumerable career paths with parents, teachers and carers. Exhibitors include; Mercedes-Benz, Exeter College, NHS, A-Plant, Brend Hotels, Bristol Airport, Clarkson Evans, The Hinkley Point C Project, EY, Parkdean Resorts, UK Hydrographic Office, Wales & West Utilities and many others. Apprenticeships now offer an extremely positive vocational alternative to college or university education as they can harness an individual’s skills from an early age and provide a very clear and structured development path into vocational employment and management in favoured industries and business sectors. Commenting on why this event is a ‘must attend’ if you want to find out about apprenticeships, Simon Bennie, Organiser said; “For anyone looking for the next steps in their career choices, then there is only one place to go and that is the National Apprenticeship Show at Westpoint on the 3/4 May 2017. This is the only show that is dedicated to careers advice, employment, options, training providers and colleges that are delivering or offering good quality apprenticeships. The National Apprenticeship Show is all about interaction between exhibitor and visitors with many have-a-go stands where you can try out numerous tasks from Electrical Installation & Engineering, Finance & Accountancy challenges, Landscaping & Construction and just about anything else you can imagine. 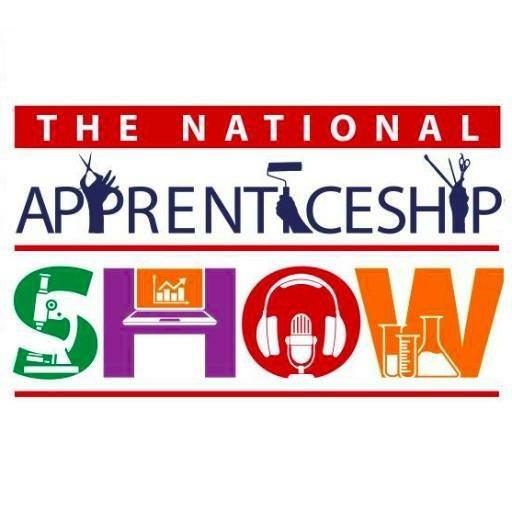 Anyone wishing to attend the event can do so at any time but must register in advance at www.nationalapprenticeshipshow.org/southwest but please note that the event will be very busy between 9.30am and 1pm on both days as this is when schools are bringing large groups of students. There is a dedicated evening opening on the first day from 4.00pm-6.30pm and the organisers would encourage any families/individuals to book into this session or attend between 1pm -3pm on either day. Entry and parking is completely FREE!